Tip: use the product filter to select the tire size you need! 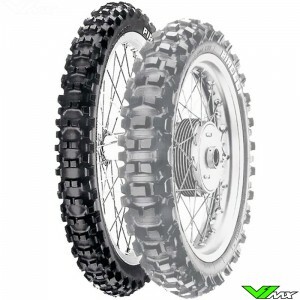 The right tire choice is an important factor to be able to perform well at the motocross track or during your trail ride. 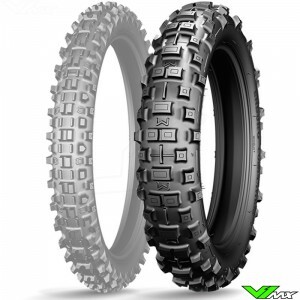 At V1mx you choose from a wide range of dirtbike tires for many different types of riding and surfaces, from sand to hard surfaces. Top brands such as Pirelli, Dunlop, Michelin, Bridgestone and Kenda allow offroad riders to experience maximum grip. 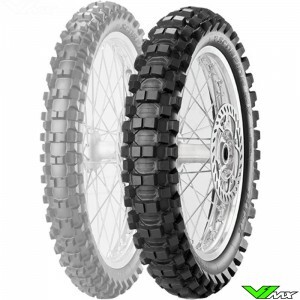 These brands have decades of experience in developing and manufacturing the dirtbike tires. These brands also focus a lot on the collaboration with the best riders in the world and extensive testing of different compounds and tread patterns. 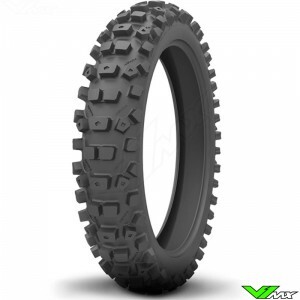 The results are motocross and enduro tires that deliver maximum grip on a particular surface. 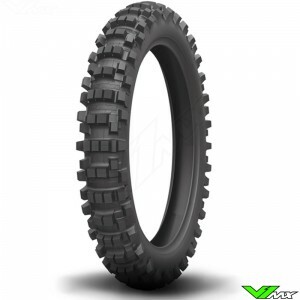 Using the product filter of V1mx you can easily find the tire that is best suited for your local track. Below you will find more information about the tires for different surfaces. 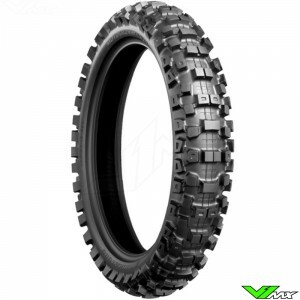 The medium to hard motocross tires are designed for hard and dry surfaces. They are made from soft rubber and have a close tread pattern for optimal contact area on hard surfaces. Please note that most of the tires are not approved for street use and can be used for closed circuit racing only. The mid-soft, also known as intermediate motocross tires are suitable for a wide range of use. The tread pattern is closer together in comparison to the MX soft. In addition, it is made of a durable compound that prevents accumulation of sand between the knobs. 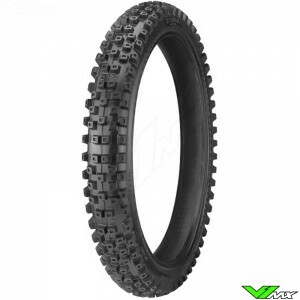 The intermediate motocross tires are the most popular, because of the versatile use. 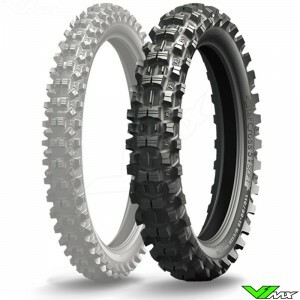 The soft motocross tires are made of a hard compound, with large space between the knobs for good grip in de loose sand. 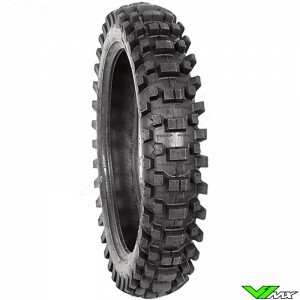 The MX soft tires are suitable for soft surfaces. Unlike the sand tires the mx soft tires can still be used with reasonable performance on harder surfaces. 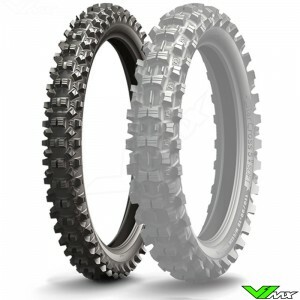 For even softer surfaces you can opt for the sand motocross tires. The sand motocross tires are fitted with large paddle shaped knobs on the back wheel for optimum grip. This is the tire choice for riding in the dunes, on the beach or on very soft and sandy motocross tracks. In addition to different tires for the hardness of the soil, there are also tire types for certain racing disciplines. The most important ones are described below. 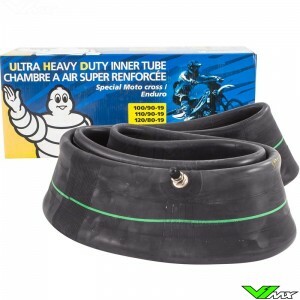 These tires are specially designed to last and provide good grip with many different conditions. 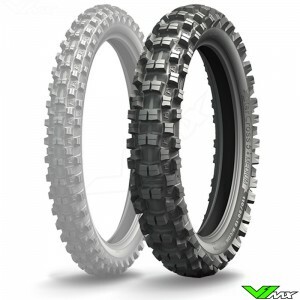 Excellent choice for hobby riders who ride at multiple tracks, without spending too much money on your tires. 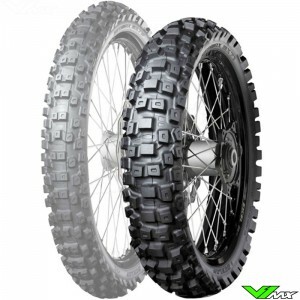 Special tires for cross-country races. Designed to handle various terrains such as: hills, rocks, logs, tracks, sand and mud. There are several cross-country tires available, from soft to hard conditions. Please refer to the description of a certain tire for more information. 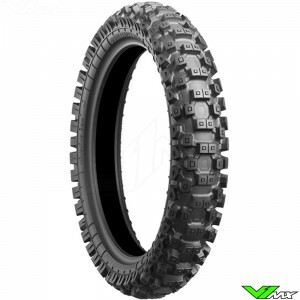 Enduro tires are specifically designed for typical enduro conditions: obstacles and changing conditions. 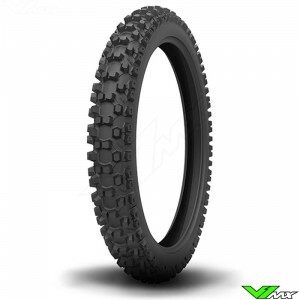 There are many different types of enduro tires available, therefore we recommend that you read through the description of the specific tire you would like. For many enduro riders it is important that the enduro tires are street-legal. You can check this by checking if the tires are DOT approved. 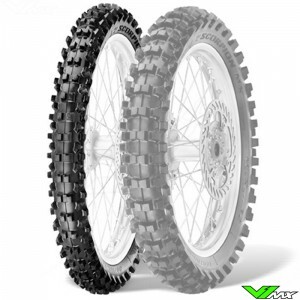 Regularly replacing the tires will have much impact on the drivability and performance of your enduro or dirtbike. Not only will this help when accelerating, you will also be able to brake later and go faster around turns. A worn tire can be sensed by loss of grip. You can also visually check the tire. A worn tire can be observed by: round knobs, cracks, discoloration and partly or completely ripped off knobs. Replacing the tires is not the easiest job. For this reason, V1mx has a special page for all handy motocross tire tools. 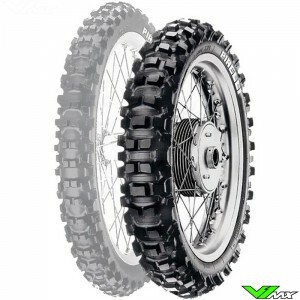 Do you want to buy new tires for your dirt bike? Then you are at the right place at V1mx. 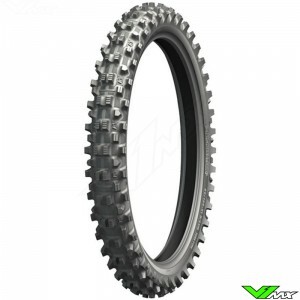 We have a wide range of motocross tires from the best brands. Please feel free to contact V1mx if you have a question about the products or about placing an order. We are happy to help you!